I bought a plantain and wasn’t quite sure what I wanted to do with it. I’ve tried them just baked (which was delicious) but I wanted to actually bake them in something. I had seen a few recipes before that didn’t use flour but plantains and I thought this sounded like a delicious idea. 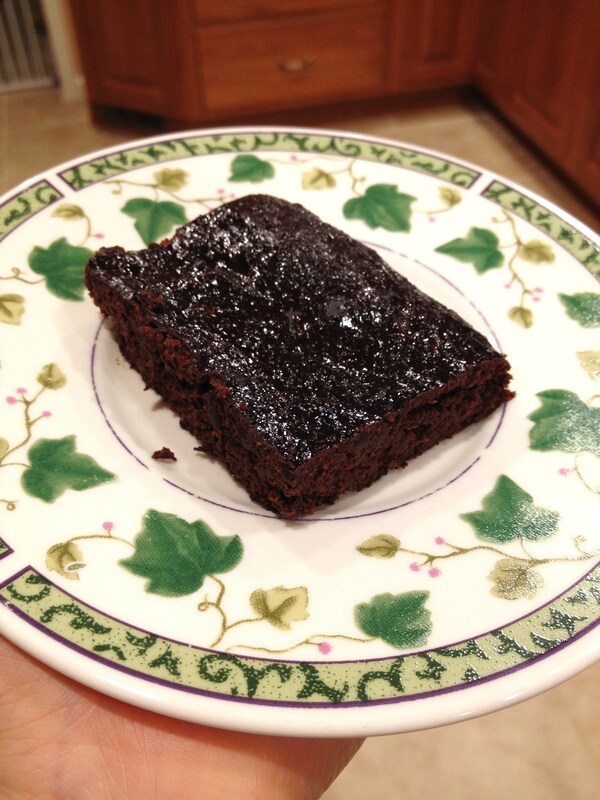 After looking around I found this recipe for chocolate plantain brownies. 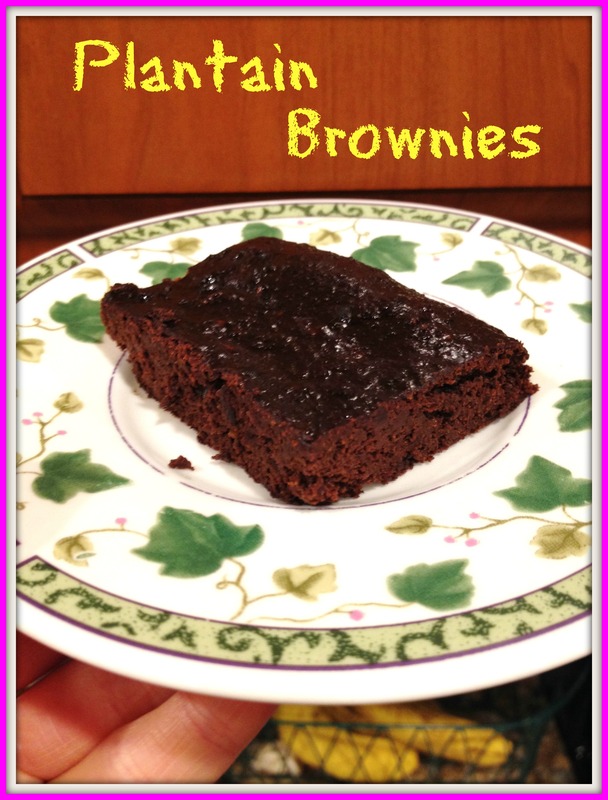 These brownies have a great sweet taste and use some healthy ingredients! Preheat oven to 350F and spray an 8×8 inch baking pan with non-stick spray. Peel the plantain and put it in a food processor and blend until smooth. In a large bowl, stir together carob powder, coconut sugar, baking soda, baking powder, applesauce, vanilla, and maple syrup. Stir in the plantain puree. Stir in the almond butter and coconut oil and mix until everything is combined. Bake for 30-35 minutes or until toothpick comes out mostly clean. 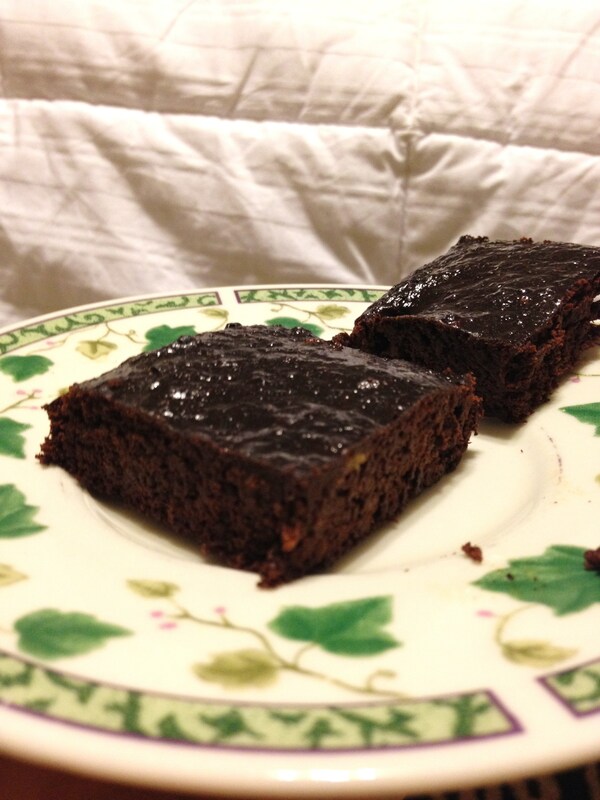 Bake them for less time (like 20-30 minutes) for a fudgier brownie. Allow to cool before slicing. Store in the refrigerator. I love how easy these are to make and the natural glaze that forms on top of them make them look very fudgy! I have been craving cashews lately! I have no idea why because cashews were never one of my favorite nuts, but this past week I cannot get enough of them. At the end of each day, I have been grabbing a small handful and just eating them raw. This afternoon when I got home from the gym I was about to make my typical protein smoothie, but then I decided to add cashews to my protein shake! The cashews made my typical protein shake super creamy and very tasty! This recipe, with original Silk PureAlmond milk, sunwarrior protein powder, and both optional ingredients, is approximately 430 calories and 30g protein. Sorry no picture. I’ll have to take one in the future!